In every group of friends there’s always one person that can’t seem to get out of his own way. He is the living example of Murphy’s Law. Each disaster of this person’s life is expected, and as a result of his horrible decisions, everyone keeps watch between their fingers. Because, deep down everyone wants him to turn things around. This, ladies and gentlemen, is what the Colorado Rockies have become. 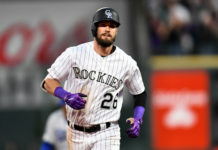 Baseball fans in this town know the Rockies are a hopeless case; it’ll be shocking if they don’t finish in the cellar of the NL West, but fans keep watching. This town wants nothing more than to have a good baseball team and to watch the Rockies win an NL West title for the first time in franchise history. It’s laughable that in 22 years they’ve never won their division (and aren’t even close to doing so). The organization can only blame itself. It has nothing to do with bad luck, disgruntled players or the altitude. Those at the top need to start recognizing this. There’s no reason for the main decision makers at 20th and Blake to be dismissive when every move they make is questioned. They haven’t earned the benefit of the doubt. Every positive story is easily washed out with a negative one. Developing Nolan Arenado into the best third basemen in baseball doesn’t earn the respect it should because of the number of high first-round picks that have flamed out. Adding Trevor Story to the Opening Day roster against better fiscal judgment makes no difference. That’s because they continually revert to making decisions based on the bottom line. Not trading fan favorite Carlos Gonzalez in the offseason was overlooked because no one actually believes he’ll be on this roster long-term. And having an everyday lineup that rivals the best teams in the league is an afterthought, most likely because they have the worst pitching staff in baseball. The Rockies’ best pitching prospect, Jon Gray, can throw six innings of four-hit baseball and strike out 11 batters in San Diego, but it’s a moot point (because they lost). The Rockies spent the offseason developing Gray’s curveball. Why? He’s already said he hasn’t figured out how to pitch at Coors Field; it was pointless to teach him a pitch he can’t use in half his starts. Why didn’t they spend the offseason diligently working on his command, slider and making his changeup really, really good? Those are pitches that can work everywhere. That’s a textbook example of the kind of decision that gets the Rockies into trouble. Moves like that are the reason no one respects this organization’s ability to develop a quality arm. That and Tyler Matzek, Christian Friedrich, Greg Reynolds, Casey Weathers, and Rex Brothers, to name a few. Prop up Jake McGee’s seven saves in the first month of the season all you want, but you can’t hide his 5.59 ERA. Or, Jason Gurka’s ERA. Or that the bullpen is a disaster. Time after time after time Colorado steps on its own toes. 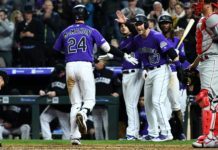 The reality of the situation is that the Colorado Rockies have yet to stumble upon a winning formula. Stumble is the operative word, because it appears that Colorado is blindly throwing darts at a solution. Save for a couple of lightning-in-a-bottle seasons, the boys at 20th and Blake have been downright bad. And, despite what those at the top of the organization want you to believe, they are no closer to winning this season. People in this town want to believe in the Colorado Rockies. They want to believe that the decisions being made by Jeff Bridich and his team are going to improve this roster but they just can’t. Bridich’s front office was built on the foundation of Dan O’Dowd’s front office. O’Dowd proved he didn’t have the wherewithal to build a winner in the Rocky Mountains. Why would his understudy? It’s starting to look like the Rockies are going to waste great seasons and great stories once again. This team could have five players hit 30 home runs and have a legitimate Rookie of the Year candidate. And it won’t matter. Chad Bettis and Tyler Chatwood look like legit solutions in rotation. And it won’t matter. This team didn’t take enough positive steps in the offseason to overcome their deficiencies. 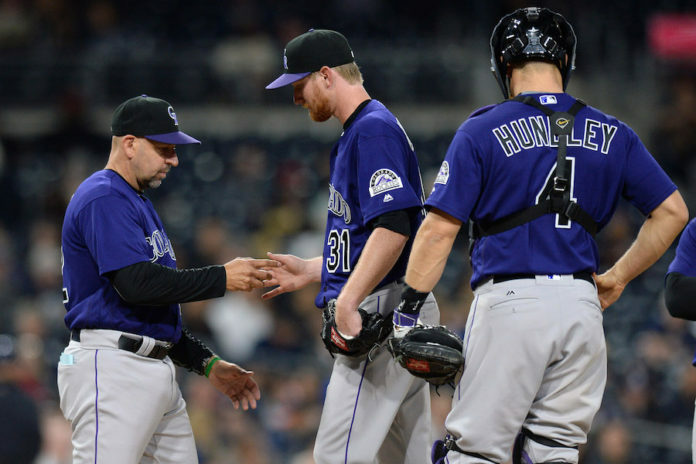 The Colorado Rockies can’t seem to get out of their own way.